YOKOHAMA, Japan -- Operating profit at Nissan Motor Co. declined 13 percent in the latest quarter, as falling sales in key markets such as Japan and China offset gains from a favorable exchange rate and robust sales in its top market, North America. Operating profit slid to 171.6 billion yen ($1.43 billion) in the January-March fiscal fourth quarter, from 197.7 billion yen ($1.65 billion) a year earlier. Net income increased 3.3 percent to 118.8 billion yen ($993.1 million), the company said. Global revenue advanced 2.6 percent to 3.29 trillion yen ($27.50 billion), despite a 2.1 percent decline in worldwide sales to 1.48 million vehicles in the three-month period. Sliding sales in important markets, as well as increased costs for launching new product in North America, ate into quarterly profits. Operating profit in North America fell 23 percent to 79.9 billion yen ($166.3 million) in the period, as Nissan ramped up output of the Murano crossover and prepared for the Maxima sedan. Regional sales grew 12 percent to 1.65 million units. Quarterly sales in Japan tumbled 19 percent, while China’s slumped 10 percent. Still, for the full-year, Nissan chalked across-the-board earnings improvements. Like other Japanese automakers, it benefited from surging demand in North America and a weakening yen, which aids exports and boosts the yen-denominated value of overseas earnings. Nissan CEO Carlos Ghosn said better discipline with incentives in the United States, as well as brisk sales of vehicles such as the Rogue crossover, fueled a 54 percent gain in North American operating profit on an annual basis and lifted sales there 12 percent to 1.65 million vehicles. Full-year results got an added boost from foreign exchange rate windfalls that kicked in 68.6 billion yen ($573.4 million) over the entire fiscal year ending March 31, 2015. Twelve-month operating profit at Japan’s second-biggest automaker grew 18 percent to 589.6 billion yen ($4.93 billion). Global net income expanded 18 percent to 457.6 billion yen ($3.83 billion), and global revenue grew 8.5 percent to 11.38 trillion yen ($95.13 billion). For the fiscal year, global retail sales increased 2.5 percent to 5.32 million vehicles. European volume advanced 12 percent to 755,000 vehicles in the 12 months, with Nissan eking a 5.1 percent sales gain in Russian sales to 173,000 despite the market’s unraveling demand. But full-year sales in the home market of Japan slid 13 percent to 623,000 vehicles, and business in China edged ahead just a meager 0.5 percent to 1.22 million vehicles. Europe widened its full-year operating loss to 25.8 billion yen ($215.7 million) from 23.6 billion ($197.3 million). Despite the European sales increase, profits were undercut partly by the tumbling value of the Russian ruble against other currencies. Looking ahead to the current fiscal year ending March 31, 2016, Ghosn forecast operating profit to advance 14 percent to 675.0 billion yen ($5.64 billion). Foreign exchange rates are actually expected to work against Nissan in the current year, lopping off 40.0 billion yen ($334.4 million) from the operating result. 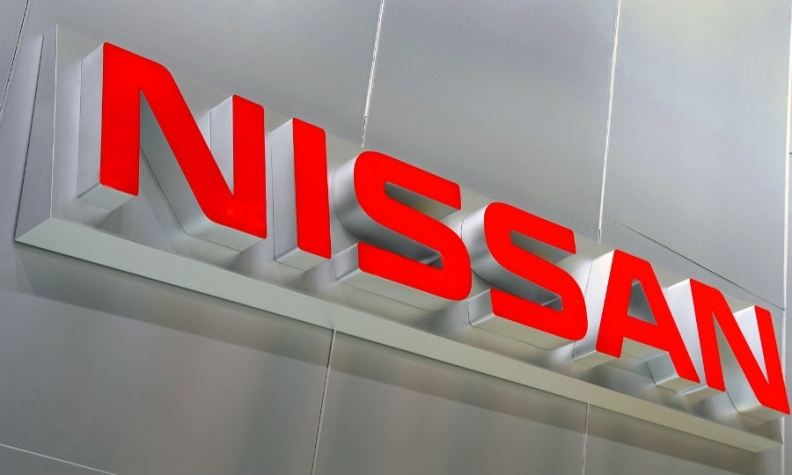 Nissan forecast net income to advance 6.0 percent to 485.0 billion yen ($4.05 billion). Sales are pegged to increase 4.4 percent to 5.55 million vehicles, pushing revenue ahead 6.4 percent to 12.10 trillion yen ($616.4 billion). Sales in North America are forecast to increase 5.0 percent to 1.92 million vehicles in the current fiscal year. European volume is predicted to expand 4.6 percent to 790,000 units, and China’s business is seen growing 6.4 percent to 1.3 million vehicles.